Did Kindle Sales Get a Boost from Nook's Fumble? Even before Cyber Monday, Amazon's Kindle hit a sales record in November, topping all previous months in the e-reader's two-year history. 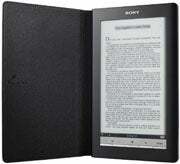 Amazon doesn't disclose specific sales numbers for the Kindle. As PaidContent notes, chief financial officer Tom Szkutak has said the company will "follow whatever is required" for sales figures if the numbers become high enough, but chief executive officer Jeff Bezos has said Amazon may always keep Kindle sales figures secret for competitive reasons. But in very general terms, Amazon says the Kindle is doing great. Amazon Vice President Ian Freed said in a statement that people are buying several devices as gifts, and businesses are buying the e-readers in bulk for their employees or customers. Aside from the ambiguity on sales figures, the biggest question that remains is, "Why?" Amazon has seen more e-reader competition than ever this year, thanks in large part to Sony's new line of readers and Barnes & Noble's Nook. Threats loom in 2010 from Asus and Plastic Logic, among others. You'd think all of that would cut into the Kindle's business, but there are a few things to consider.
. The original Kindle, which debuted in November 2007, sold out immediately and remained out of stock for months. Last December, the Kindle sold out again through the following February, making room for the Kindle 2. Sony and Barnes & Noble are experiencing the same launch pains now. The Nook is sold out through Christmas, and Sony has said it can't guarantee shipments of the Reader Daily Edition -- its only model equipped with Wi-Fi -- in time for Christmas. with the Kindle 2 dropping $40 to match the Nook's debut price. I think it's fair to say that the Nook, or lack thereof, has given the Kindle a sales boost, directly or indirectly, but there are other factors as well. Unfortunately, without hard numbers, it's hard to tell whether e-readers are moving into the mainstream.